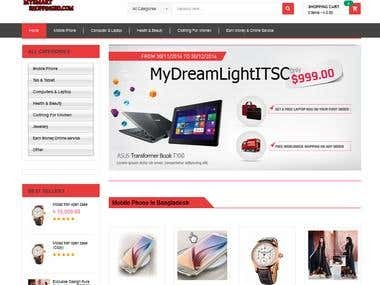 Hello sir, I have 3years experience in WordPress, Magento, Woocommerce, Ecommerce, joomla,l Shopping Cart and many more. I always try to give my best to all of my clients. Experienced Skill: 01. WordPress #Any type Website. 02. Magento #Any type Website. 03. Joomla #Any type website. 04. Photoshop cs6 # Photo Retouch, Resize, Background Remove, clipping path. #Banner Design #Animation #Business Card Design. 05. Web design and Development #PSD To HTML #HTML #CSS #PHP #Js 09. Investment Website Website design and development. 10. Monitoring Website design and development. 11. Facebook Marketing. 12. Blog Writing, Blog Post. I'm Professional Web and Graphics designer of Dreamdesignbd. 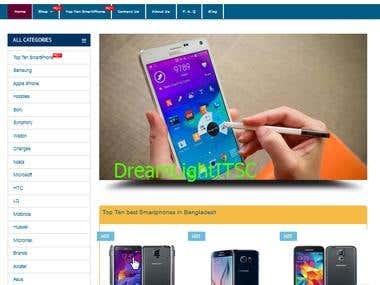 Dreamdesignbd is a local company of Dhaka, Bangladesh. I joined in this company in 2012 Jan. Currently working here.